Home Pet Rabbits Mini Rex Rabbit – Is This Your Ideal New Pet? Mini Rex Rabbit – Is This Your Ideal New Pet? Welcome to our complete guide on the Mini Rex Rabbit! Rabbits are absolutely adorable. They’re fluffy, cute, and insanely playful. What could be better than a bunny? How about a small, mini bunny? Sounds awesome, right? Yes, they do actually exist. There are actually a number of different mini rabbit breeds. One of the most popular is the Mini Rex Rabbit. Despite their cute factor, though, do Mini Rex Rabbits really make good pets? What is their personality like? What colors do they come in? Are they prone to any serious health conditions? Luckily, that’s exactly why we wrote this handy guide! We’ll explore a Mini Rex Rabbit’s size, colors, health, personality, and all the Mini Rex Rabbit facts you could possibly want to know about this breed. The Mini Rex is a specific breed of dwarf rabbit that originated in Texas in 1984. 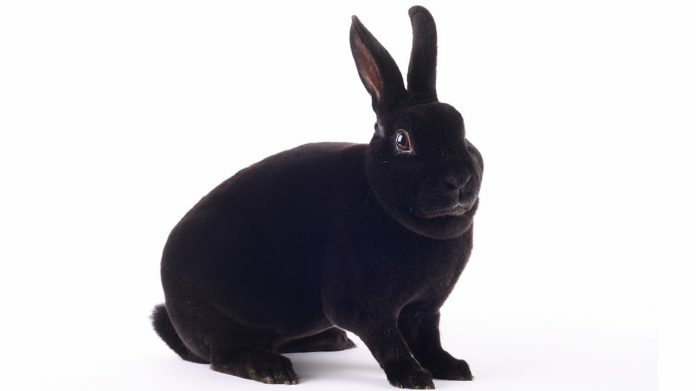 The first Mini Rex Rabbit was bred by Monna R. Berryhill, who bred a black Dwarf Rex with an undersized Lynx Red doe. This litter produced seven baby rabbits, also called kits. 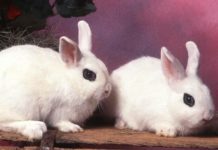 Two years later, Berryhill showed the Mini Rex Rabbit to the American Rabbit Breeders’ Association, who decided to recognize the rabbits as a distinctive breed. 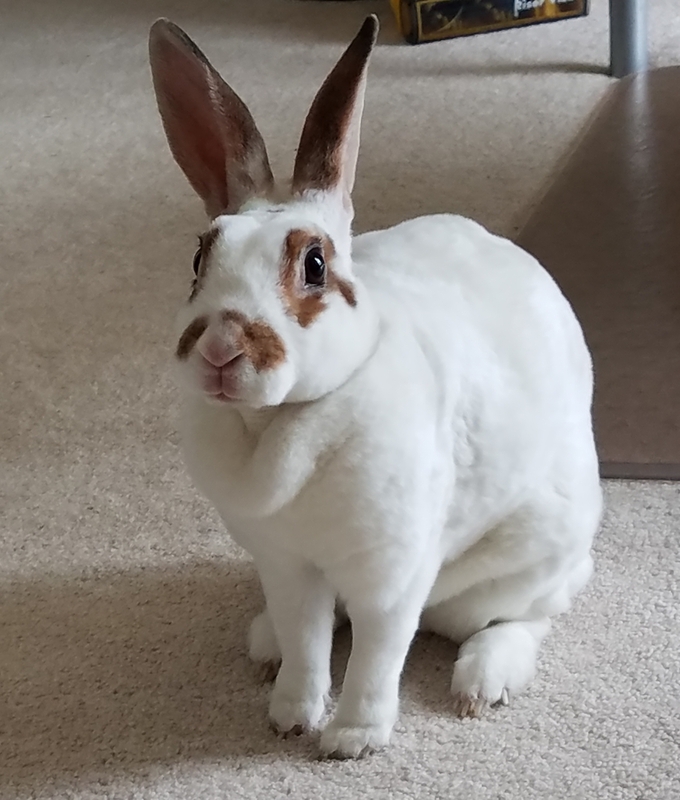 Since then, many other rabbit species have been bred into the Mini Rex Rabbit to improve their health and quality, including the standard size Rex. The Mini Rex Rabbits, as you can probably guess from their name, still have the Rex mutation that their larger counterparts have. This mutation causes their fur to stand up instead of lying flat. It also causes the guard hairs to be shortened to the length of the undercoat. Because of this, Mini Rex Rabbits really only have one coat layer, as opposed to two like most rabbits. How big do Mini Rex Rabbits get? Mini Rex bunnies usually weigh somewhere between 3.5 to 4.5 lbs. This is larger than many “true” dwarf breeds, which weigh at maximum 3.5 pounds. The British Rabbit Council only considers rabbits “true” dwarf rabbits if they remain under 2.5 lbs. In other words, this means that Mini Rex Rabbits are not always considered to be a dwarf rabbit breed. Though, they do carry the dwarf rabbit gene. However, due to the interbreeding between Mini Rex dwarf rabbits and lots of other rabbit species, they are not as small as other dwarf rabbits. Now that we know how big Mini Rex Rabbits are, what are some Mini Rex Rabbit colors? Truthfully, the Mini Rex Rabbit comes in A LOT of colors. This is due to the near constant inter-breeding between the Mini Rex bunny and other breeds. In fact, the American Rabbit Breeders Association recognizes nineteen different colors, with many more color combinations and patterns commonly seen as well. For example, the ARBA recognizes “blue” and “Himalayan” colors. However, these colors can also combine to make something unique. Furthermore, they can also combine in different patterns and ways, which can look completely different from the original colors. Basically, Mini Rex Rabbit colors are extremely varied. Really, you can find them in whatever color you can imagine. Obviously though, some variations are rare than others. Mini Rex Rabbits are often livelier than their larger counterparts. However, they are still as friendly and gentle as their larger cousins. Mini Rex rabbits love to jump and play. They have bouts of energy and are extremely playful. Like all bunnies, Mini Rex rabbits require constant access to hay, along with an amount of rabbit-specific pellet food in accordance with their size, and perhaps a treat once in a while – they love leafy green vegetables! They will need a cage large enough for them to be comfortable in. Many Mini Rex rabbits do well as “house rabbits,” allowed to roam bunny-proofed homes at will, because you can train them to use a litterbox. Bunnies don’t necessarily need any vaccinations (at least in the U.S.). But, they should be spayed or neutered in order to curb aggressive behavior and reduce the risk of certain life-threatening cancers and uterine infections. They love toys like stuffed animals. They’ll also need items that meet their requirements for constant chewing that will wear down those ever-growing teeth. Mini Rex rabbits love attention. So, if you want them to be happy, spend plenty of time with them! Many people wonder if Mini Rex Rabbits have the same health problems that other dwarf rabbits have. For some reason, dwarf rabbits have a tendency to be more prone to dental problems that average size rabbits. The exact cause for this is unknown. Rabbit’s teeth are constantly growing, and a Mini Rex Rabbit is no different. In the wild, shrubs, hay, and twigs bunnies commonly consume would naturally wear down these teeth. However, this does not always happen in captivity. When under human care, they do not always consume foods that wear their teeth down. When their teeth aren’t worn down, then, they instead grow through their face and jawbone. This, obviously, can cause all sorts of issues. And needs to be corrected by a veterinarian. Head tilt, also called torticollis, is a condition that causes a rabbit to constantly tilt his or her head sideways. This tilt can develop gradually, or very suddenly. In severe cases, the bunny’s head might be tilted so dramatically that it cannot walk. Sometimes, the bunny might even thrash around wildly in an attempt to regain her footing. The treatability of this disorder depends on the causes. In dwarf rabbits, including Mini Rex Bunnies, head tilt is most commonly caused by a parasite called Encephalitozoon cuniculi. However, this parasite is often hard to spot and diagnose. Luckily, however, a number of medications can treat this parasite and quickly correct the head tilt. Mini rex rabbit, as illustrated by our editor’s very own Ms. Dipsy-do. Gastrointestinal stasis is a very big word for a generally simple concept. Basically, when a rabbit has an improper diet or a buildup of gases, her digestive system can slow down. As a result, “hairballs” can get lodged in their intestinal tract. In other words, the body does not digest fast enough to get rid of small impactions, which then build up into one large one. Mini Rex Rabbits cannot vomit. And cannot therefore expel the hairball. Unspayed female rabbits can experience GI stasis as a symptom of uterine cancer, which is extremely common in intact rabbits. It’s one of the reasons spaying is so important for Mini Rex bunnies. Nearly always, this disorder requires serious veterinarian attention. Usually, the treatment for this disease will be multi-pronged, with medication, critical care, and surgical measures being taken as necessary. However, the specific treatment really does count largely on your rabbit’s particular situation. So it is REALLY important to take your bunny to the vet as soon as possible, if your bunny has not eaten or defecated for eight hours. This is a common viral disease in rabbits. It is highly contagious and is spread by both coming into contact with an infected rabbit and by fleas, mosquitoes, and other insects. It almost always leads to very rapid death and is nearly always fatal. The Mini Rex Rabbit is not specifically prone to myxomatosis. However, myxomatosis is extremely contagious and can easily pass from rabbit to rabbit, no matter their breed. Its high lethality, as well, makes it incredibly worrisome. However, there is a vaccine currently under development that has shown 100% effectiveness at preventing this disease. Some countries have already approved it, and other countries should follow. Myxomatosis has been more of a problem in places like the U.K. and Australia, but has also been found in wild bunnies in certain areas of the U.S. An FDA-approved vaccine is not yet available in America. This disease, too, is highly contagious. Direct contact with an infected rabbit, by other rodents, and the contamination of cages, dishes, and clothing can cause transmission to other bunnies. There is also some evidence that this disease can also be transmitted through the air. Usually, this disease progresses very rapidly. Rabbits will generally show little to no signs for up to three days, and then will suddenly deteriorate. Some rabbits, in fact, never show signs of being sick at all. Some rabbits even recover from the disease, only to die of liver failure weeks later. Most of the time, this lack of clear-cut symptoms and time frame causes the disease to go undiagnosed. This is why it is always important to report strange deaths or symptoms to your vet. Unlike the last two disease, this disease is bacterial. It is not as easily spread as, for example, a virus. But it is extremely important to look out for nonetheless. The “snuffles” are basically an upper respiratory infection. Young and small rabbits are more at risk for it. This puts the Mini Rex Rabbit, of course, at a greater risk than larger rabbits. Luckily though, vets can easily treat this bacteria if diagnosed early. Treatment usually includes antibiotics for a number of weeks. Though, of course, it is dependent on your specific rabbit’s situation. Strangely, all rabbits seem to carry the bacteria that causes this disease. However, only some ever exhibit symptoms. It is theorized that a normal rabbit’s immune system keeps the bacteria in check. When the rabbit is stressed or fed an improper diet, the bacteria may get the upper hand. This causes the symptoms and issues previously described. How long do Mini Rex Rabbits live? A Mini Rex Rabbit’s lifespan is usually between 7-10 years. However, specific rabbits can fall higher or lower than this estimate. Is a Mini Rex Rabbit right for me? There is no doubt about it – Mini Rex Rabbits are extremely cute. Their dwarf gene allows them to stay tiny and keep their youthful appearance into adulthood, even when they are no longer Mini Rex baby bunnies. However, they are also prone to a number of health issues, more so than average sized rabbits. Because of this, if you’re looking for a healthy companion, it is probably better to go with a different breed. Why not an average size Rex Rabbit? Or maybe even a Holland Lop? If you can’t resist them, Mini Rex breeders are easy to find. Tell us all about yours in the comments! The National Mini Rex Club, History of the Club. American Rabbit Breeders Association (2013). ARBA Official Breed ID Guide. 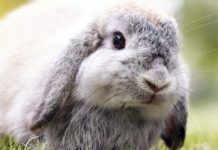 Darwin Veterinary Centre, Common Rabbit Diseases. Krempels, Dana (2014). Head Tilt (torticollis) in Rabbits: Don’t Give Up. University of Miami. Kunstryr, I. and Naumann, S. (1985). Head tilt in rabbits caused by pasteurellosis and encephalitozoonosis. Laboratory Animals, 19. Yorston, M. (2013). Gastrointestinal stasis in Rabbits. The New Zealand Veterinary Nurse. Spibey, N. (2012). Novel bivalent vectored vaccine for control of myxomatosis and rabbit haemorrhagic disease. Veterinary Record, 170. Berninger, M. and House, C (1995). Serologic comparison of four isolates of rabbit hemorrhagic disease virus. Veterinary Microbiology, 47. Previous articleGerbil vs Hamster – Which Pet Is Best for Me? Next articleWhere Do Hamsters Come From?